As unemployment looms in the country, so many unemployed graduates have taken to poultry farming for survival. Most times those that didn't study Agriculture or have any serious training in poultry farming are always quick to start up a poultry farm. At times these poultry farming ventures fail due to lack of knowledge of some important points I will mention in this Post. If you are planning or you are already into poultry farming and you wish to grow it big and make good profits from it, there are factors you need to consider. TYPES OF BIRDS: The choice of birds you want to rear might determine your success in the poultry farming venture. This is vital as some other factors are dependent on it. The housing system, feeds, equipment and facilities the farmer may require for the poultry farming are dependent on the type of birds to be kept. Poultry can be kept for their eggs or meat. One might decide to keep chicken, turkey, goose or quails, depending on the market value in his or her locality. There could be other factors which might determine the kinds of birds that you could rear. Experience in the type of poultry might be another factor. As such, one has to decide upfront what his or her interests are. HOUSING SYSTEM: It is said that by building a good housing system, one solves more than 40% of all poultry farming problems. Poultry birds must be shielded from unfavorable weather conditions such as cold, rain, sun and wind. Safety from predators should also be considered in putting up a housing unit. Snakes, rodents, and other animals are poultry bird’s enemies. Construction of shed should be done in such a way that predators cannot enter the shed. In starting up a poultry farming venture, Setting up a housing system consumes a whole lot of the start-up capital. A farmer who wants to be successful in poultry farming doesn't have to cut costs when it comes to giving the housing system the best. It helps cut losses that might result from the death of birds due to unfavorable housing. Farmers are always advised to build their poultry house in the east-west orientation to prevent high temperature in the poultry house which will eventually stress the birds. A poultry shed should be sufficiently ventilated to allow in enough oxygen for the birds. Wire mesh can be used for the walls of the shed and it is vital that the number of birds does not exceed the space capacity of the shed. Overpopulation affects the birds’ health and increases disease incidences. On average, stocking density should be five birds per square meter for layers and ten to eleven for broilers. This is supposed to be done before the chickens are brought. Some of the necessary equipment are; feeders, drinkers, culling cage (for sick birds), a heat source (for chicks), egg crates (for layers) and so on. Based on the type and number of birds you choose to keep, you need to buy sufficient equipment in advance before getting the chickens. SOURCE OF POULTRY BIRDS: This is one of the major causes of failure in commercial poultry farming venture. Sourcing of birds from the wrong dealer or supplier can throw all your capital to the winds. You might be so unlucky to be supplied weak birds or birds easily susceptible to infections which die off easily leaving tears on the eyes of the young farmer. To this, you must obtain your birds from tested and trusted dealers. For the initial starting up, you may decide to either buy chicks from suppliers or hatch them yourself. In the latter, one has to have an incubator. There are different places to get incubators for hatching eggs in Nigeria. The decision for your source is dependent on capital available, incubator capacity, location in Kenya among others. You can get a poultry incubator through the following ways; buy from an eggs incubator supplier in Nigeria – locally made machines or import your own incubator. Locally, incubators can be fabricated by welders. Always use high-quality balanced feed for optimum production. Use starter fed up to 8 weeks age, grower feed from 9 to 16 weeks age and layer feed from 17 to 72 weeks age. The balanced feed to the requirement can be prepared on the farm as per the specification. Store the feed ingredients in a dry and well-ventilated store. A wet feed may bring fungus infection. Provide adequate feeding space per bird as per the specification. Keep the record on feed consumption for each batch. A bird consumes about 7 kg. feed up to 20 weeks age and 38 kg. feed from 21 to 72 weeks age. Excess consumption may be due to feeding wastage, rats, low temperature of the shed or poor quality feed. 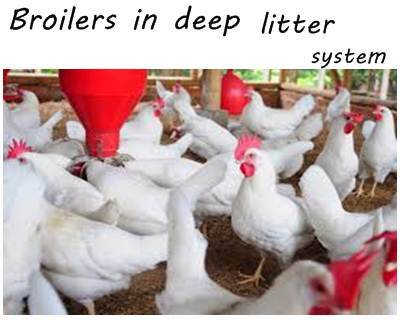 Too low feed consumption may be due to disease condition, low quality, low palatability or due to high temperature in poultry shed. Remember the feeding of birds in terms of quality, quantity and frequency determines the health, growth, and weight of the birds which eventually means more profit for you.